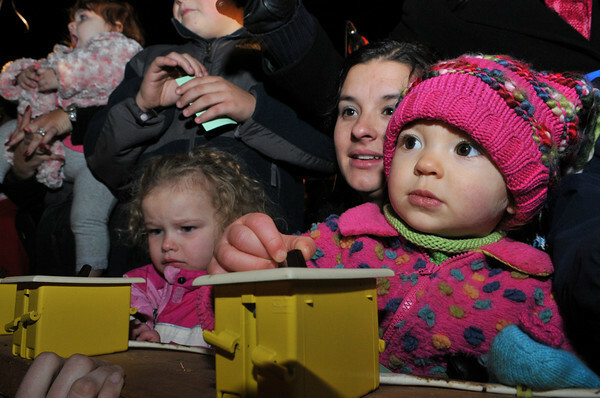 Gloucester: Christen Parsons and and her daughter Elliana 20 months (right) and 3 month old McKenzie Goulart push the switch to light the Xmass Tree at Kent Circle Sunday night. Desi Smith Photo/Gloucester Daily Times. November 29,2009.